The massive sliding doors on Apple's redesigned Union Square San Francisco retail store create a 40-foot opening that's more than big enough to drive a car through. Sure, it makes for a great open air experience when shopping, but maybe it's a hint that Apple plans to use its new store design to show off its own car. 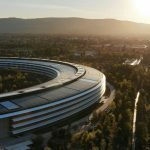 Considering Apple will want to sell cars outside of the bay area, too, the company is going to need some bigger spaces in other cities, and it looks like that's already in the works. The Lone Tree store in Colorado, for example, is moving from its 3,000 square foot location in Park Meadows Mall to a 12,000 square foot location, the Fashion Mall store is moving into a 10,8000 square foot space, the Perimeter Mall store is more than doubling its space to 10,000 square feet, and others are expanding, too. 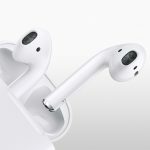 Many of Apple's expansions are expected to be finished before the end of the year, and will sport the new style the company just unveiled in San Francisco. Apple's car hasn't been announced yet, but is expected to come some time around 2019, giving the company time to expand more stores or add new locations with the space to showcase cars. Sure, the space could be used to showcase CarPlay-compatible cars, although using so much floor space to highlight cars that don't sport the Apple logo seems out of character. What's more likely is that space will hold displays for Apple's own products until it's time to push them aside for the company's own car.